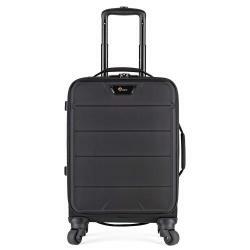 Carry-on compatible, lightweight armored rolling camera cases for the traveling photographer. Designed for enthusiast to pro photographers, the PhotoStream SP 200 is a lightweight and streamlined “spinner” bag optimized for airline travel. Armored exterior and flexible interior provide secure, customizable storage while 4 wheels deliver 360° range of motion. 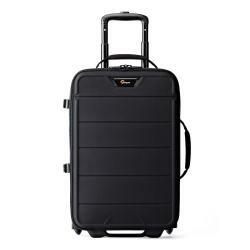 Designed for enthusiast to pro photographers, the PhotoStream RL 150 is a lightweight and streamlined airline carry-on roller with an armored exterior and flexible interior to protect and organize photo and video gear.